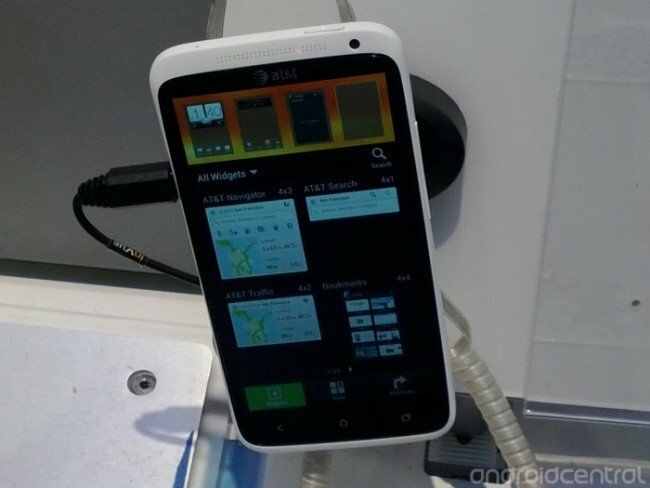 With HTC One X demo units now appearing in some AT&T stores, one Android Central reader has taken it upon himself to go hands-on with the upcoming device. Forum member ​garment69​ has written up a quick report over in the AC HTC One X forum based on his time playing with the demo unit. Among the highlights, he says, are the phone's 720p SuperLCD 2 display and the general responsiveness. And as we said in our review, the One X captures images at a fantastic speed thanks to HTC's ImageSense tech. On the negative side, our forum member wasn't too happy with HTC's app-switching setup, or the fact that the AT&T One X is left with under 10GB of internal storage for personal files (compare that to the 25GB or so on the international Tegra 3 version). For more AT&T One X impressions from garment69​, be sure to check the forum thread linked below. The phone became available to pre-order yesterday, and is due to launch on May 6.